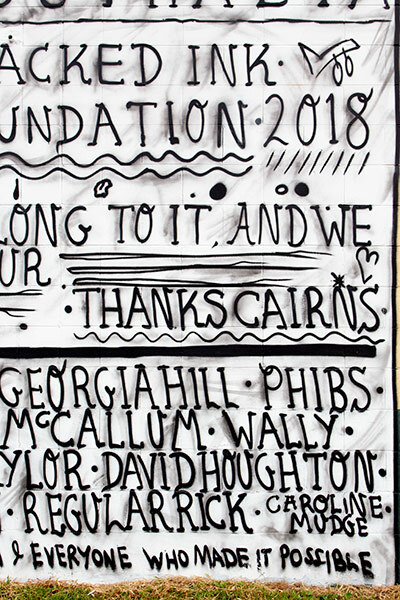 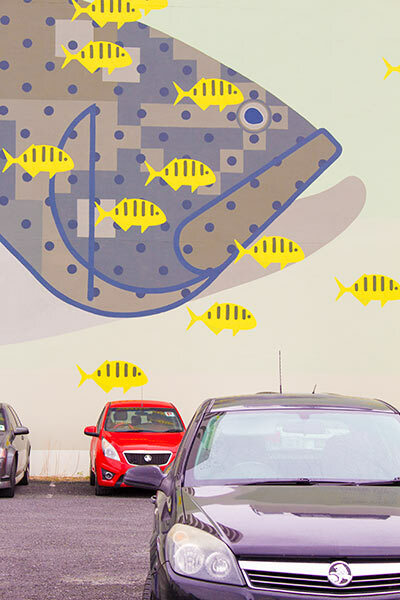 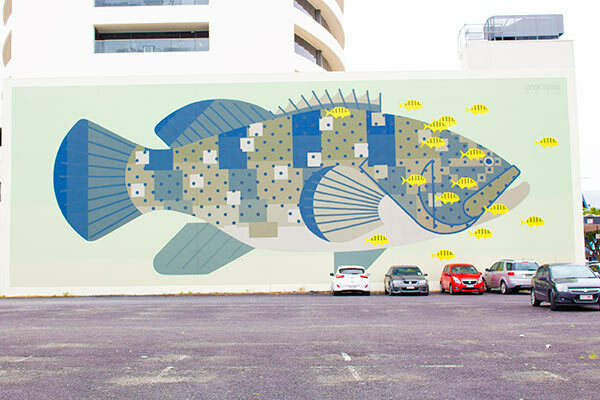 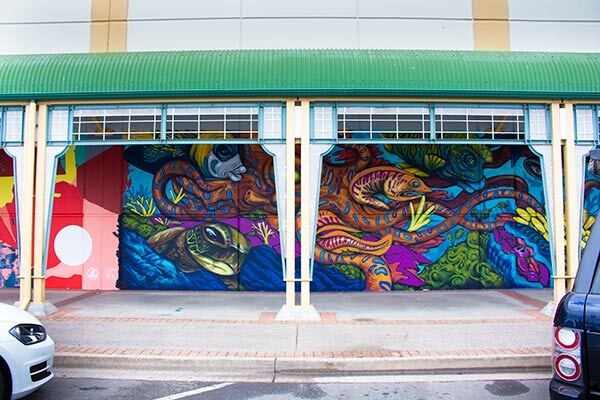 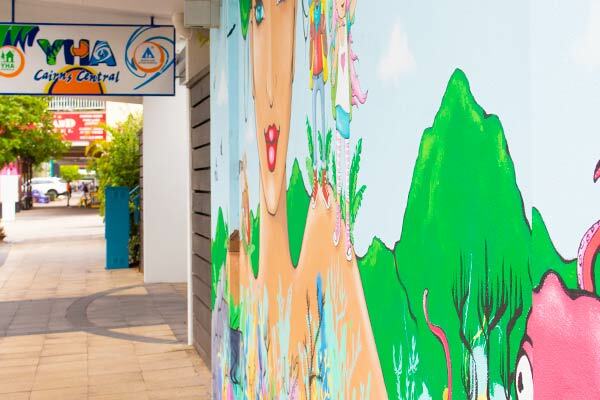 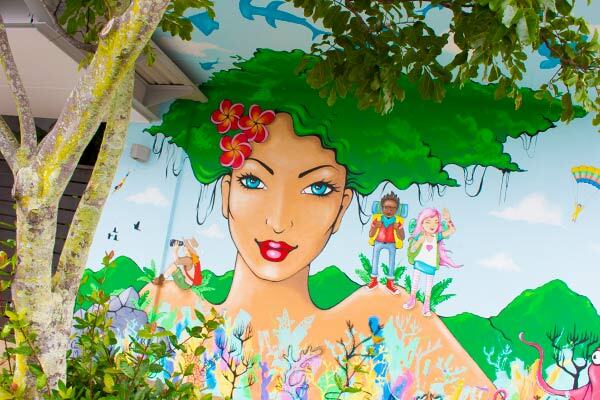 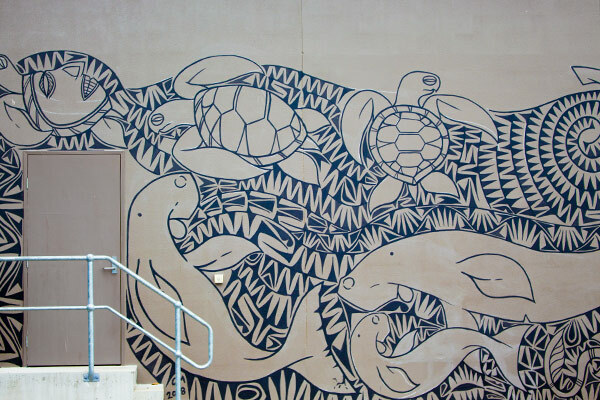 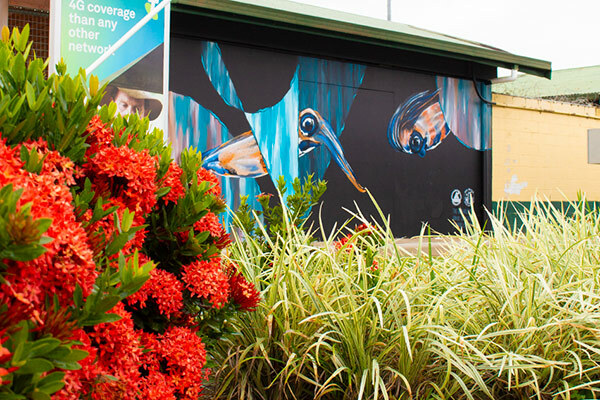 Searching for Things To Do In Cairns – Exploring the skill and magic of the Sea Walls Street Art murals by both homegrown and international artists is a great way to get up close and personal with Cairns. 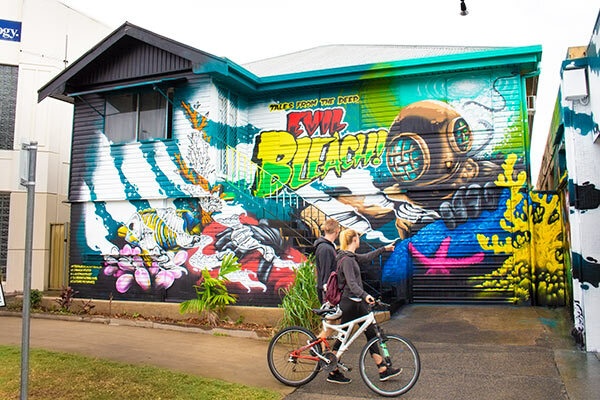 This initiative is raising awareness of the global warming challenges the Great Barrier Reef is facing and if you ever need a reason to bring global art to the tropics of Queensland Australia, the home of the GBR, this is it! 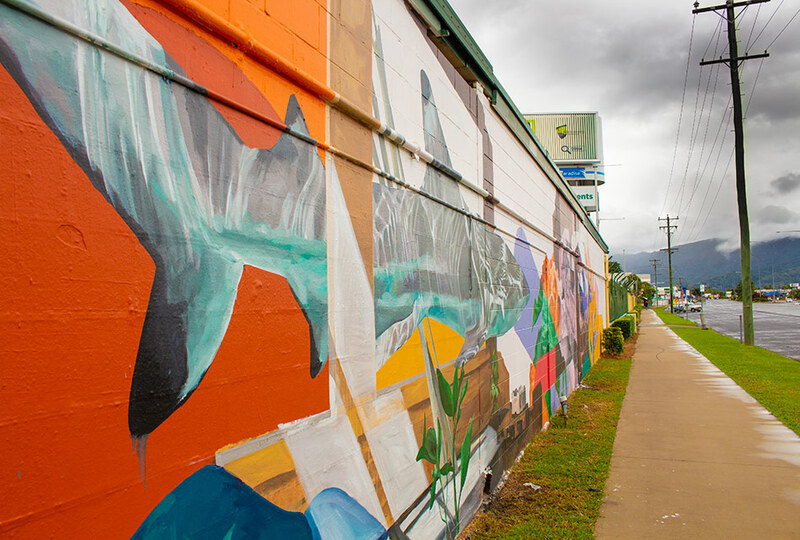 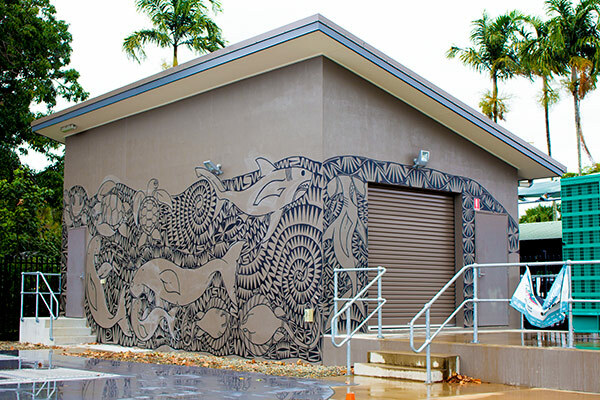 Giant murals inspired by the ocean have been painted in and around the city of Cairns in Far North Queensland as part of the Sea Walls: Artists for Oceans Festival. 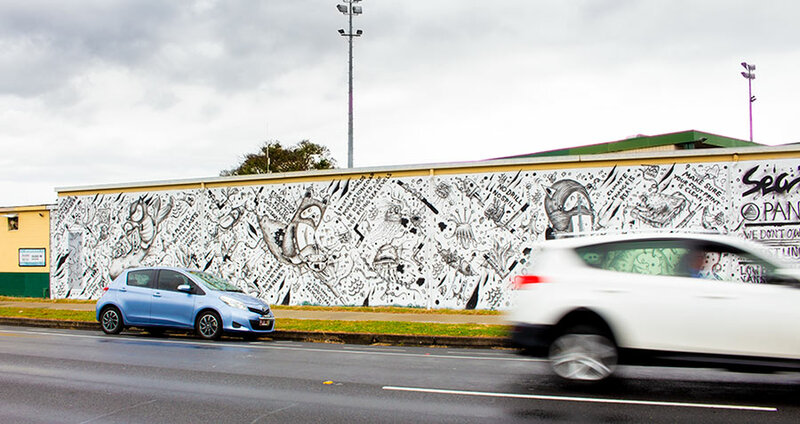 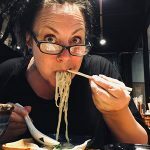 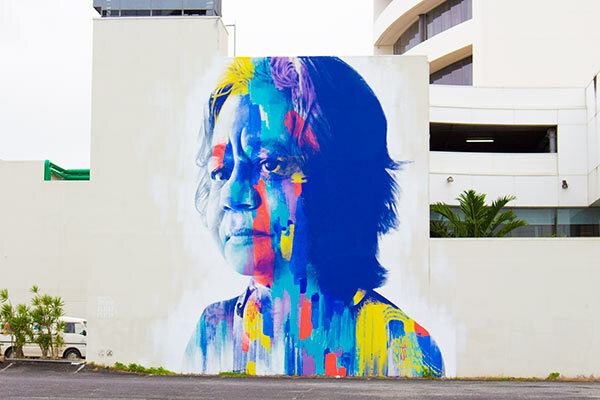 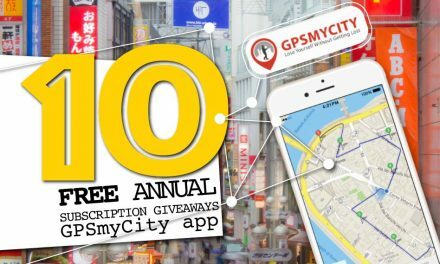 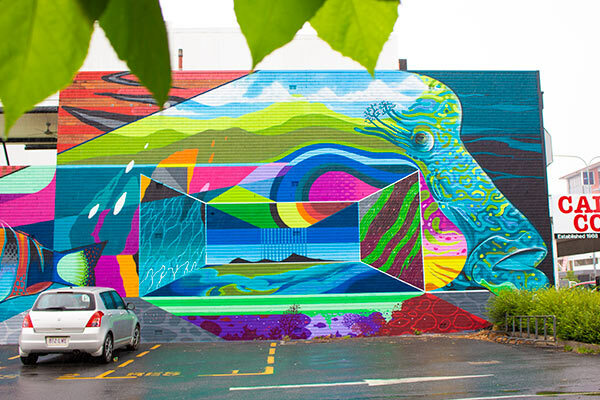 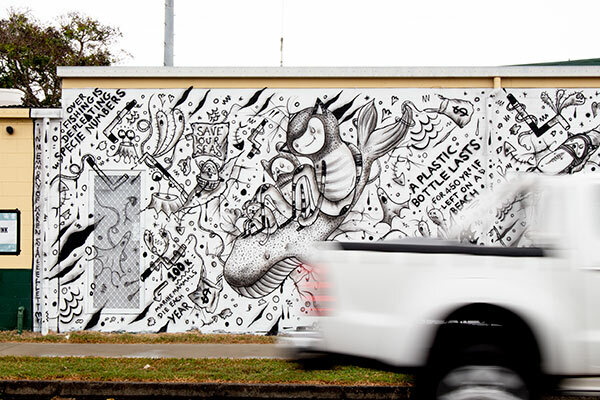 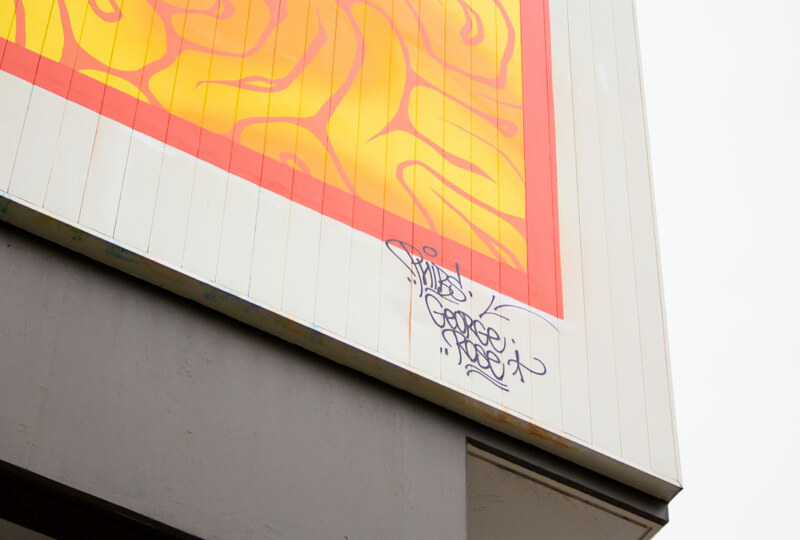 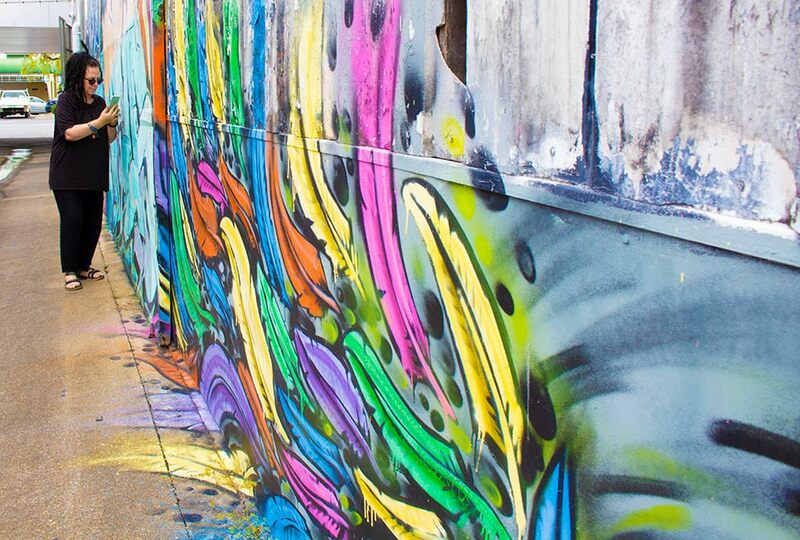 It’s a public art program collaborating with 200+ international contemporary artists, creating nearly 300 murals in 12 countries around the world since kicking off in 2014. 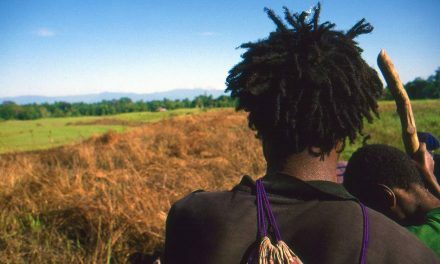 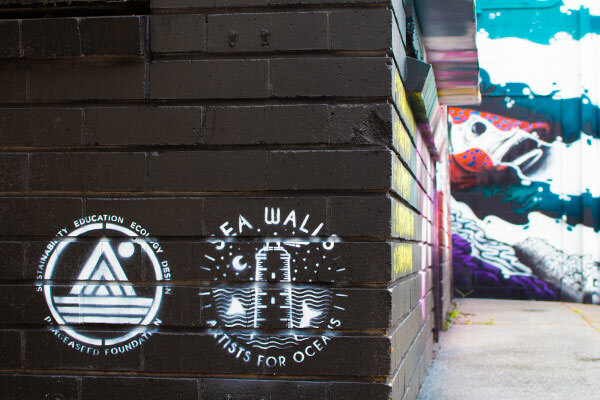 Sea Walls is a volunteer program where the artists are given research material with relevant marine environmental issues. 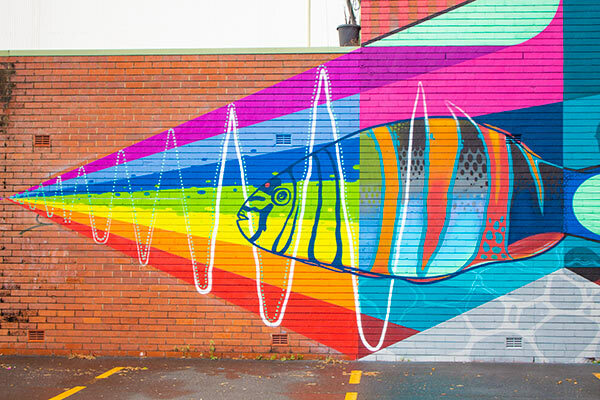 The aim is to communicate scientific information to the general public in a way that inspires. 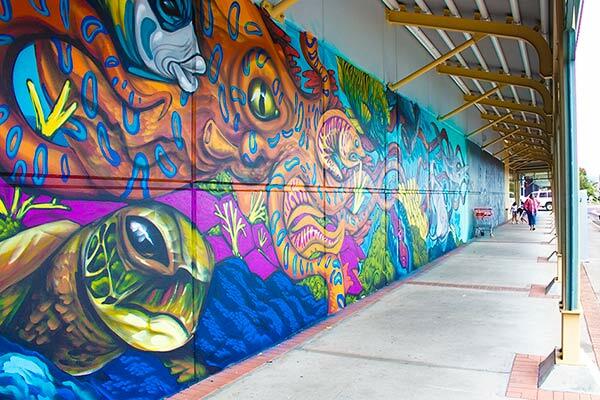 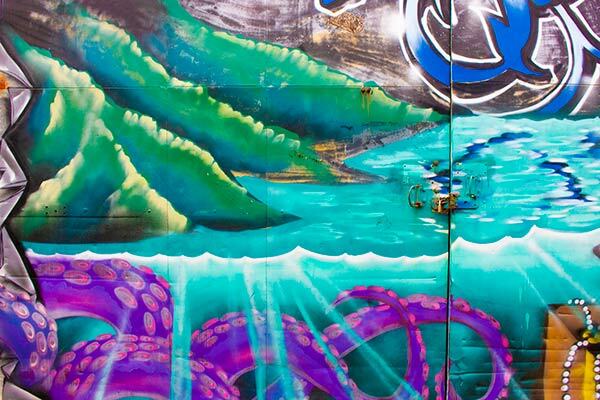 Most of the murals are scattered about the Cairns CBD, so you can wander around in a half day and enjoy some wicked examples of Sea Walls Street Art. 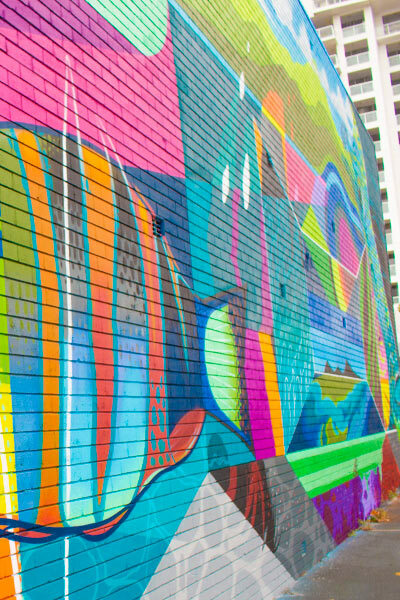 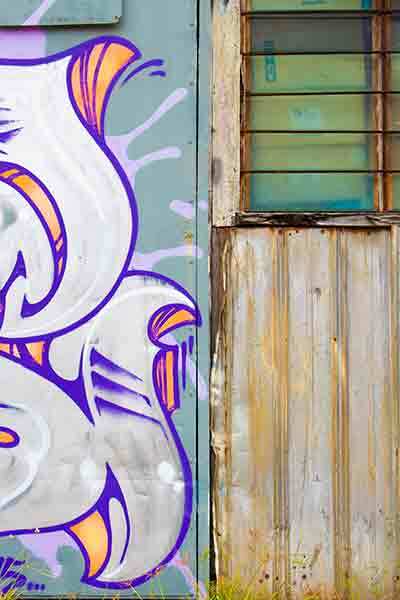 I’ve thrown a few images of some pre-existing street art by local artists that I really enjoy… just ‘cos. 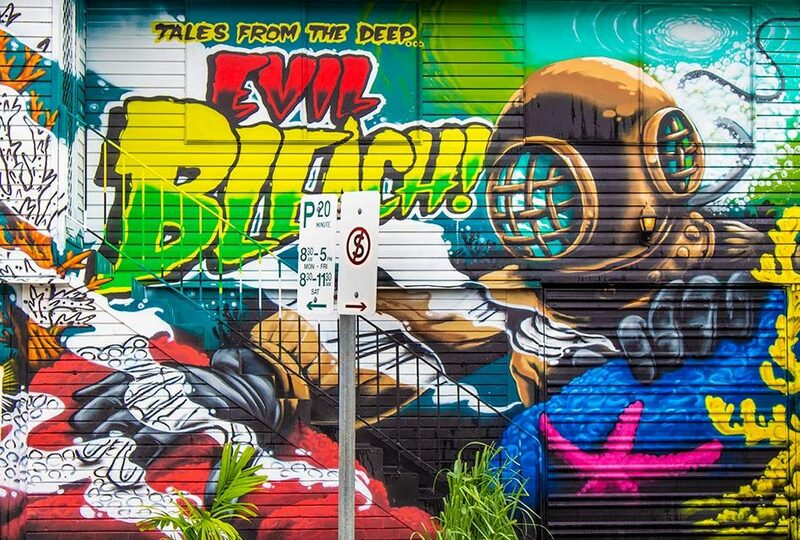 I’m not sure you want to hear my critique on the entire Sea Wall tour… better left to be enjoyed. 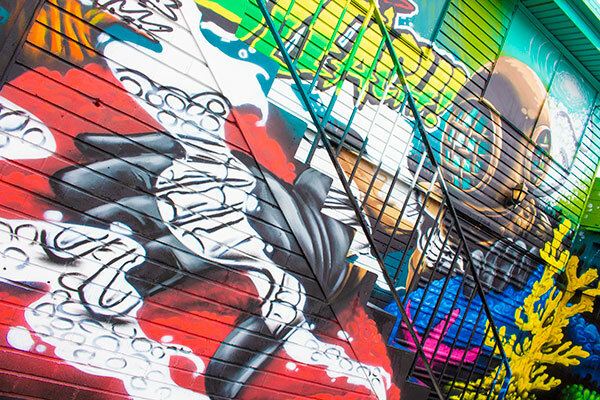 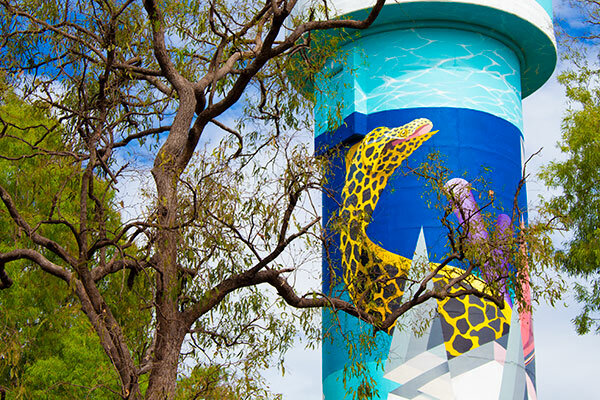 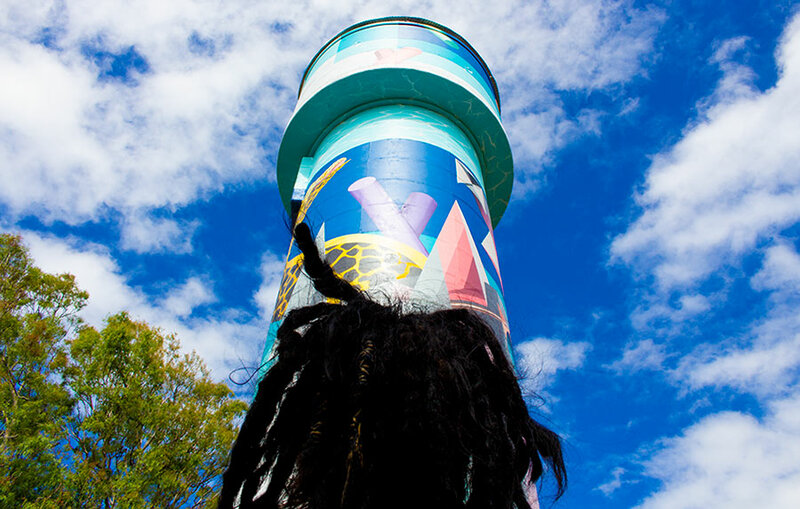 You can skip down to a google map that I’ve put in for you to download, as it gives credit to all of the artists involved… or maybe check out the Holloways Beach Water Tower by clicking here… or you could just admire some wicked street art and scroll your way down. 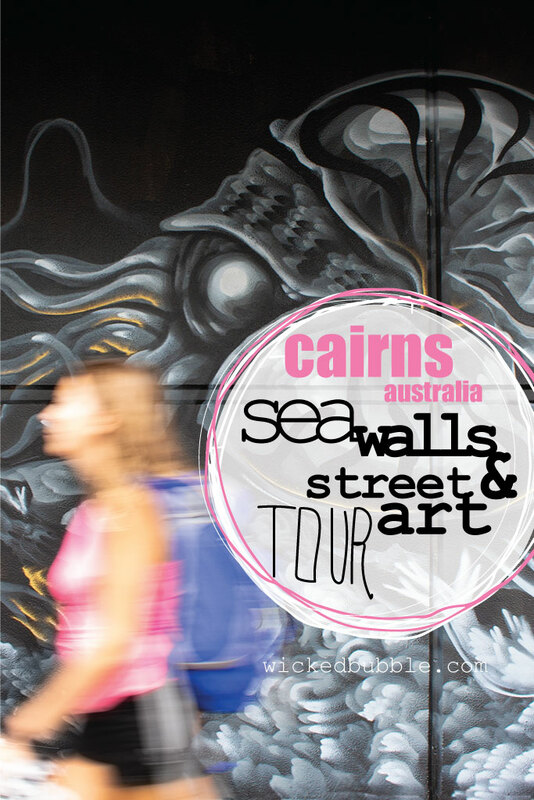 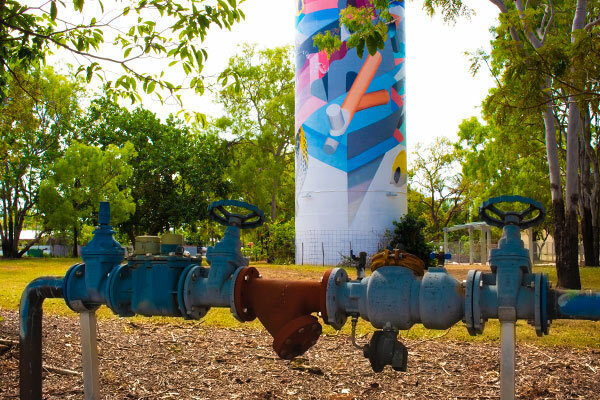 Enjoy our pix and mark it down on your list of things to do in Cairns – Sea Walls street art, proudly brought to you by global warming! 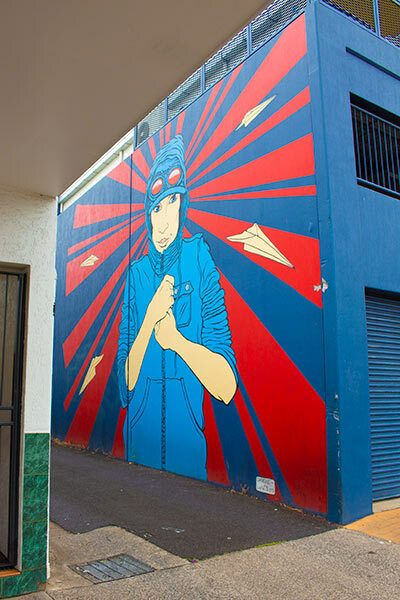 This is very cool in Severin Street – by the Showgrounds. 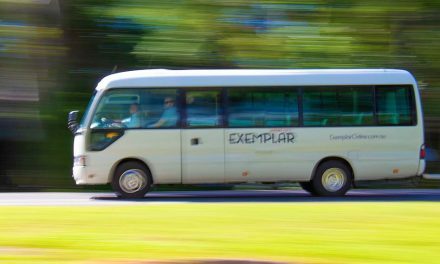 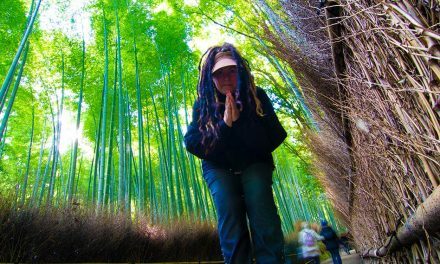 We walked it… snapped away, stood back, snapped away… stood back further… snapped away… then thought bugger it, time to do some video. 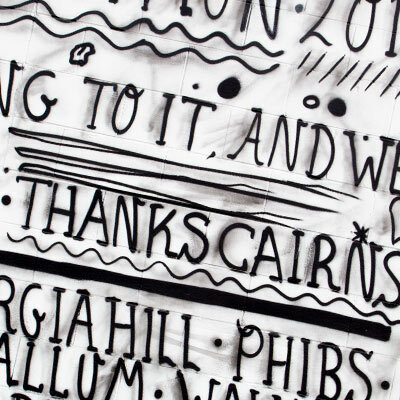 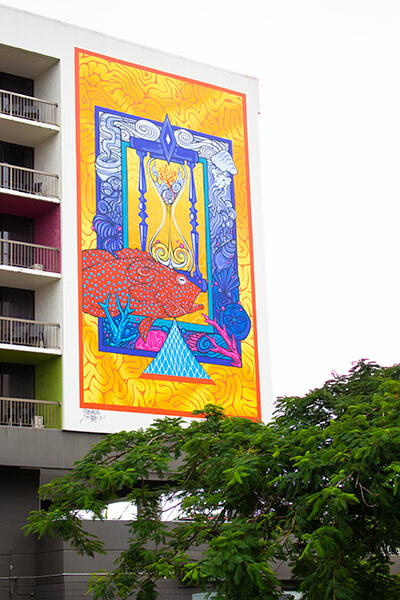 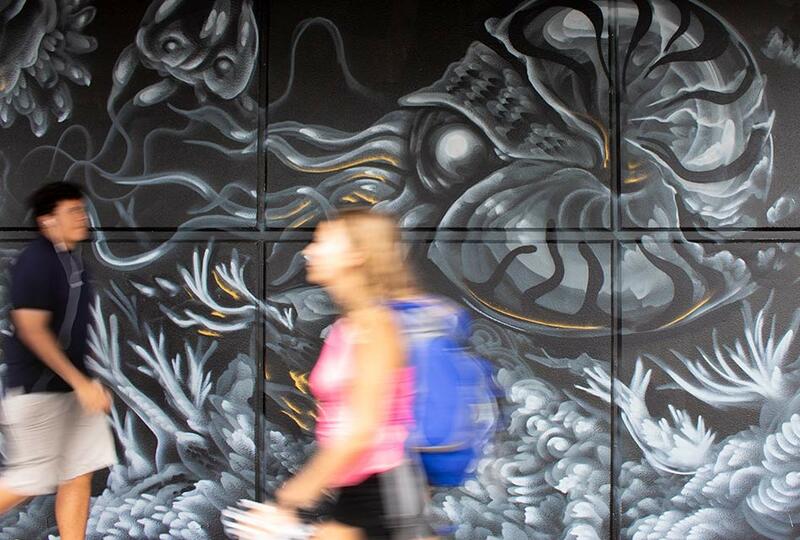 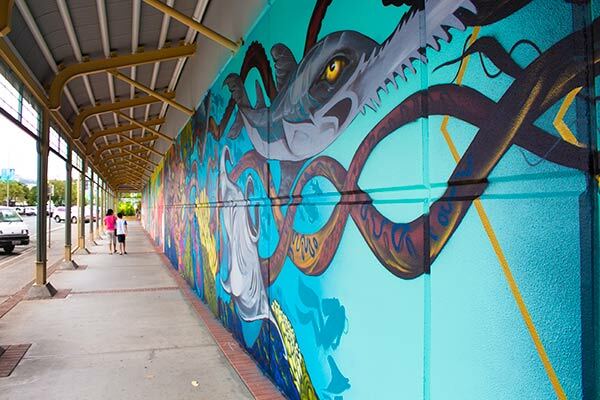 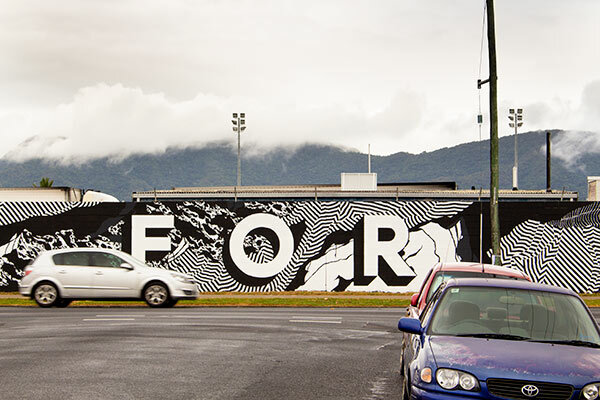 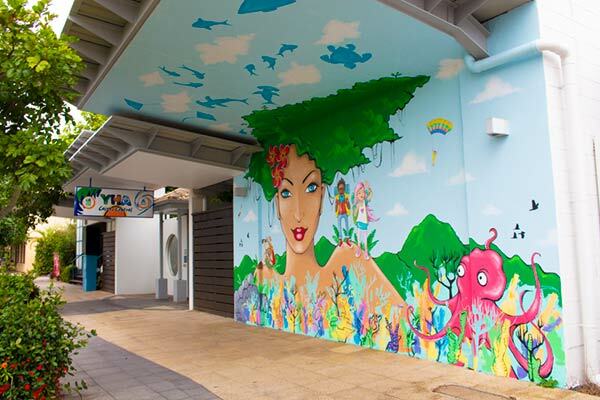 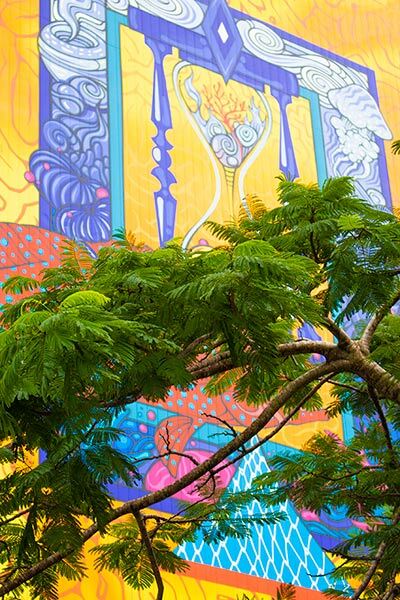 There’s only 2 Sea Walls murals that are out of the Cairns CBD a bit. 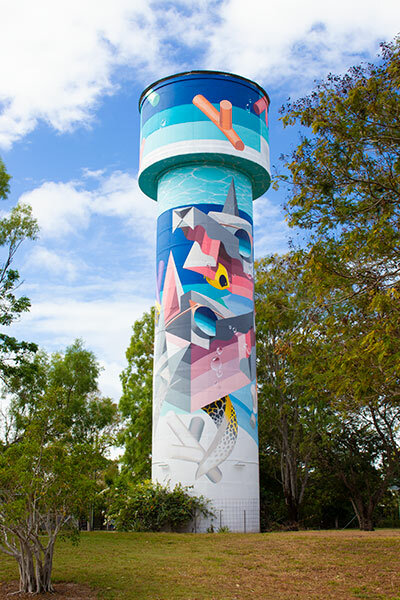 Holloways Beach water tower is one, the other is Edmonton, which is the other side of Cairns and if you’ll forgive us for deciding instead to go to Ten One Twenty Cafe for a late breaky (read the review here) … a mornings crusading will do that to an appetite. 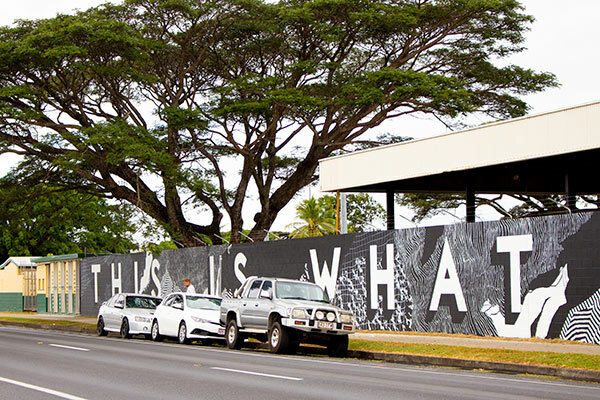 The Google Map below will give you a street by street explanation of the artist and work.